Stay safe on the roads. 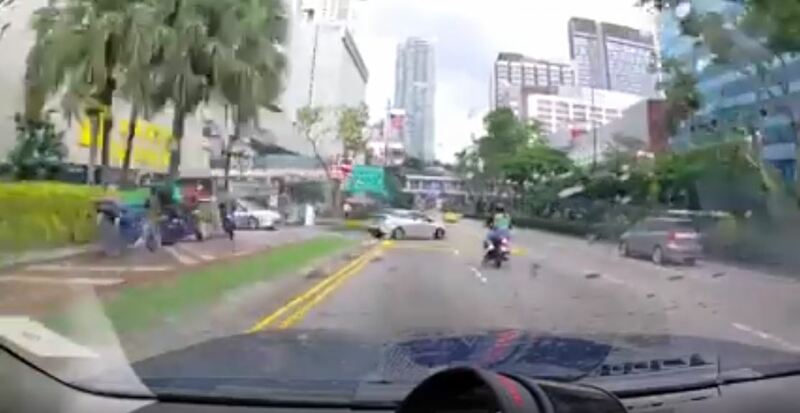 Singapore is known for its safety, but one place that we should all exercise caution at is on our roads. 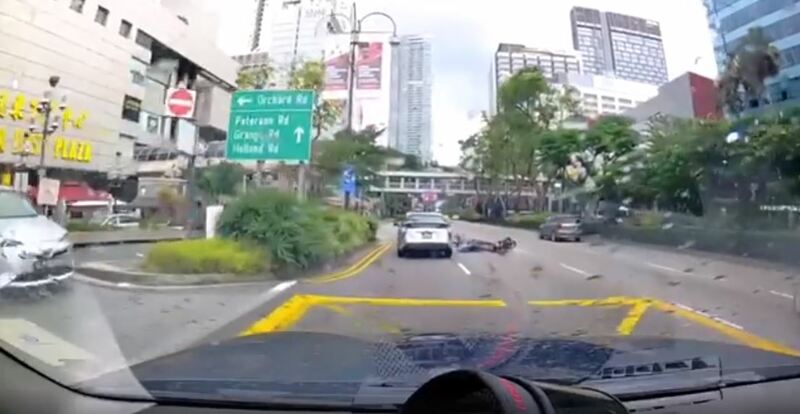 On Sunday (14 Apr), a dashcam footage of a motorcyclist who skidded and fell along Scotts Road while trying to avoid an oncoming car was uploaded onto Facebook. The car wasn’t exactly in the motorcycle’s way, so it isn’t clear if the driver is to be blamed. You can watch the video here. We break it down for you after the jump. 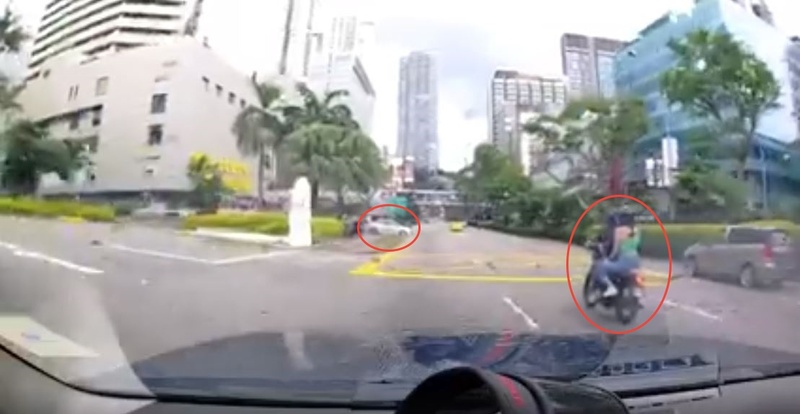 At the 0:14 mark, a white car can be seen waiting to make a turn from the side into the main road as a motorcycle, on the side of the dash-cam car, was approaching. The car driver then decided to turn out just as the motorcycle was close. The car made a slightly wide turn, which must have frightened the motorcycle. The motorcyclist panicked and started losing control of his bike, eventually falling down in the middle of the road. 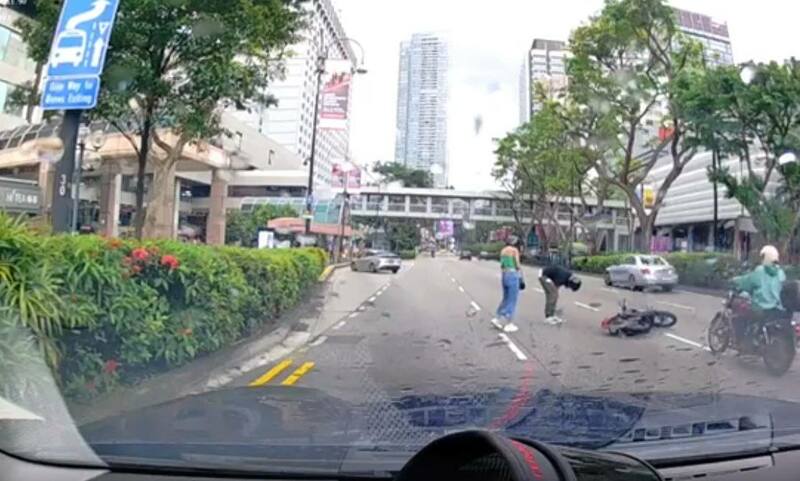 In the aftermath of the accident, the motorcyclist and the female pillion can be seen getting up after the fall, while their bike lay in the middle of the road. According to the Facebook post, the driver had allegedly said, before driving off, that the motorcyclist had no right to make any claim against him as he did not collide with them. Netizens in the comments section were divided over who was at fault — the driver or the motorcyclist. The original Facebook user who posted the footage angrily claimed that the driver’s handling of the case sorely lacked empathy, given how dire the consequences of his actions could be. The motorcyclist could have easily been run over by an oncoming truck. 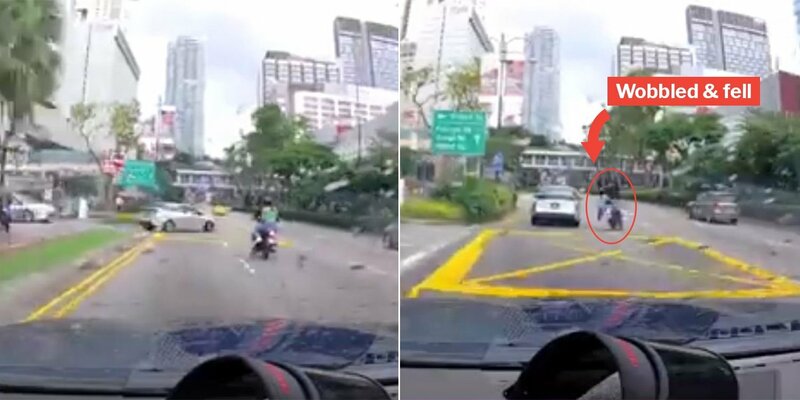 However, one netizen sought to dispel the hate towards the driver, explaining that it is normal for drivers to sometimes cut a little into other lanes when turning. Another pointed out that there are actually 2 lanes where the car was driving out from, so he should actually be turning into the second lane along the main road. 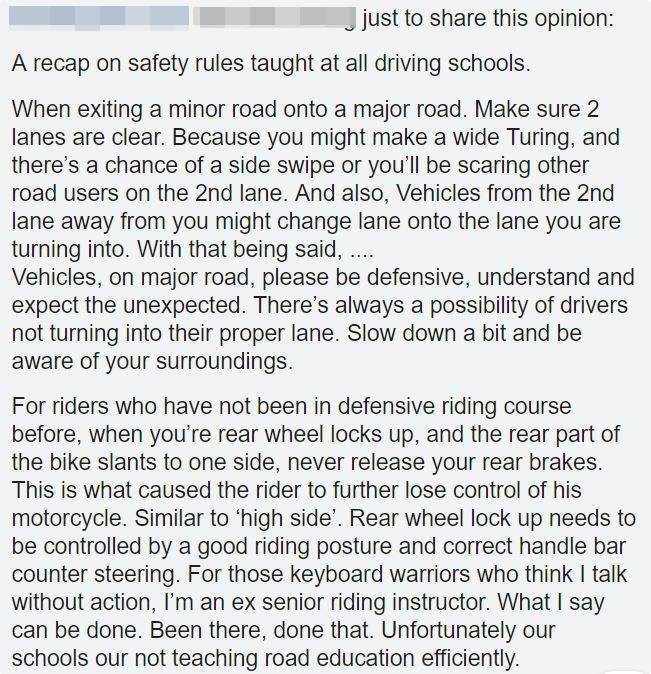 Finally, an ex-riding instructor used the opportunity to remind everyone of the safety rules taught at driving schools. We hope the motorcyclist and the pillion did not suffer any major injuries. While netizens may be divided on the issue, regardless of who is at fault, it still pays to be cautious and alert on the roads at all times. 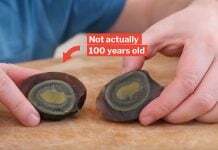 Featured image from Facebook and Facebook. Daphne was so obsessed with her brother's giant Snorlax plushie, so much that he got her the exact same one.